Wow. 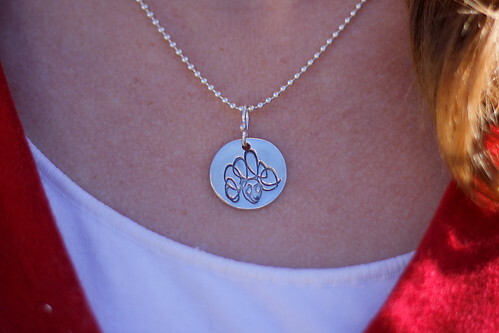 The mommy bracelet is quite cute, but the doodle tag is one of the coolest things ever! I’d one for me and one for everyone I know really – my SIL would ADORE a doodle tag of my nephew’s. Great giveaway! Completely delurking because these are too darn cute! I liked all of them, especially the remembrance tag (will be getting one for a gift for sure), but I really want a doodle tag. My kiddo draws pictures of herself in which she looks like a big potato and I would love to keep it forever! 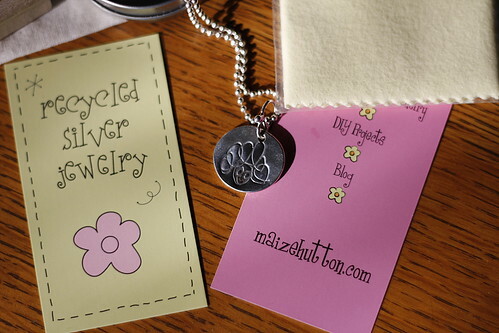 Other than the doodle tags, which I think are by far the best, I would say my favorite Mommy tag offering is the Mommy tag necklace… How adorable! I’m loving the circle of love…and the doodle tag…and the remembrance tag…it’s hard to just pick one! Love it all, but the doodle tag is just too precious to pass up! Love these! Definitely the Doodle Tag. It’s so cute. And the Rememberance Tag is a really sweet idea. Love reading your blog. Love the doodle tag. My daughter would think she was super cool if I had one. I love the mommy tags bracelet, but I think the doodle tags are still my fave–what a cool idea! Oh I LOVE the doodle tag, I need one of those! The remembrance tag is a very nice idea too and I think I may have to order one for my friend who just had to burry two of her children in the past 14 months. The doodle tag is definitly the cutest thing – what a great idea!! What can I say? I love the Doodle Tag. Thanks for the contest! So many cute things to choose from, but the doodle tag is my favorite! The mommy and daddy tags are neat (I like that you can get a bracelet or necklace) but the doodle tag ROCKS!!! My daughter loves to doodle constantly, and I would love to be able to take wear a piece of her creativity. I must say the doodletag is my favorite. I liked the remembrance tag also, but the doodletag is such a cool idea! I love it! 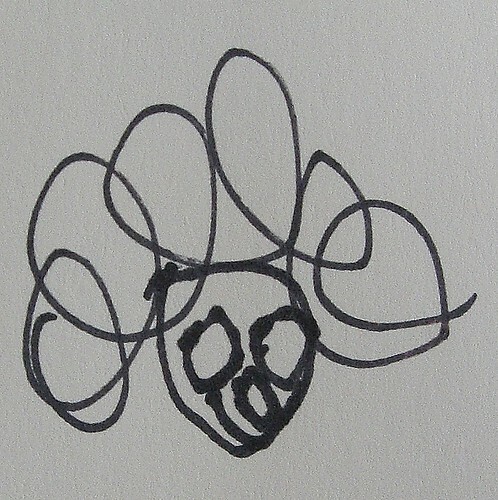 Just tell me at what age my toddler’s doodles will be wearable… because right now his scribbles are less than attractive on paper, let alone on a charm. I can just see my baby’s scribbles on a Mommy Tag. SO cute! I love the doodle tag.Gimme! Soo cute. I would love this set: http://www.mommytags.com/index.php?main_page=product_info&cPath=10&products_id=40 What an awesome gift. the doodle tag is, by far, the best thing on there. it’s AWESOME! LOVE the “daddytags” maybe he’d actually wear it?? Whoa, I LOVE! The heart of gold tag is my favorite, after to doodle tag, of course. I LOVE it! Must have, thank you for sharing, Casey and Mommytags! Not sure how to link my tweet! The doodle tag has got to be the cutest thing ever! I now have my Christmas presents for two grandmothers. What a great idea! Miss Britts last blog post..What Do You Want To Do With Your Life? Doodle Tag, hands down. Everything looks fantastic, but I would pick that any day, in a heart beat. I don’t seem to have any luck with giveaways but I do hope I break that streak with this one! The doodle tag is the best! But which kids doodle do you pick to put on it??? I’m loving the doodletag. I’m also from Montana, so I love that part too. This would be great for my 4-year-old son, who really wants to wear necklaces like his big sisters. I totally love the Remembrance Tags. Sadly, I just found out that one of my friends has been having a series of fertility related issues, while another has had some lost pregnancies, and didn’t know what to or say for them. These are perfect and I wouldn’t have known about them otherwise. Thanks again Casey. 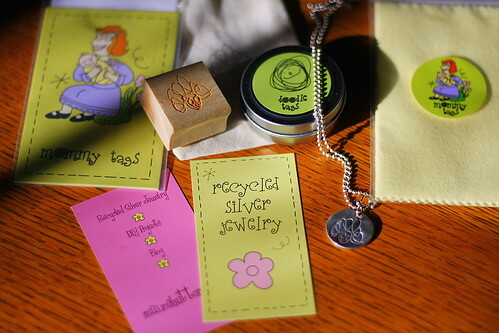 Okay, Okay, so I don’t really drool over kid ware jewelry. But I ABSOLUTELY LOVE the doodle tags. What a great idea! Doodle tag people ROCK! Oh wow! The doodle tags are the cutest. I’ll have to work on Zoe’s doodle skills though. Colleens last blog post..The stockings will be hung by the chimney with care! I’ve gotta have the doodle tag… it’s awesome!! Wow! That is so cool! I would love a doodle tag. Totally the Doodle Tag. Though I would need 3 of them or two of my kids will know they are not my favorite. I wonder if Darth Vader wielding a lightsaber will fit on a DT? Saw your blog in Indianapolis Monthly and checked it out. Love the mommy tags! Would love to have one! I would LOVE a Mommy tag now that all the kids can draw and/or scribble. Whew! I just made it by the cutoff time! Like you, I love the Doodle Tag – my Middle does the BEST face drawings w/ huDge ears! Yeah, I think I would have to go with the doodle tag. Especially since my daughter just recently discovered the many joys of drawing pictures of people. They would make the BEST doodletag ever. I like the tots tag. I like the Mommy Tag. With number 2 on the way, I would need a way to honor them both! 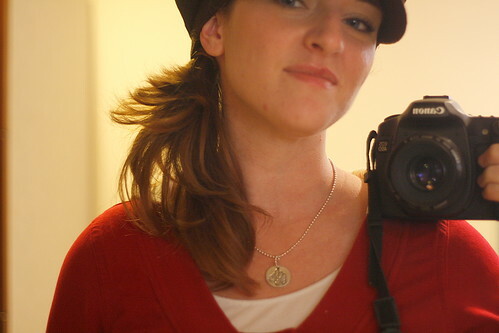 I love the Doodletag necklace best and think the idea of having J doodle a self-portrait is priceless!! I’m bookmarking their site, b/c it rocks, but keeping my fingers crossed for the win! Those are some really outstanding photos! Way to go! I love the mommytag! One for each child of course! I really like those doodle tags. The idea of uploading something and having it cast in silver is really cool. I can think of a lot of stuff I’d make and have converted. Thanks for posting this really cool link. Paunchinesss last blog post..Where Do Thanksgiving Turkeys Come From?